The grand total raised for the Pacific Coast Peregrine Watch is $316.25. It was made up of 25% from my sales of pastels, watercolors, notecards and a painting of a great horned owl on elk hide which equaled $161.25. Add in the PCPW table sales of $155 for mitered corner dinner napkins, peregrine pins and stuffed falcon toys. I am so pleased! You all made it possible. Thank you. If any of you still would like to make a $20 donation plus tax and receive a set of two, mitered corner dinner napkins, please contact me. 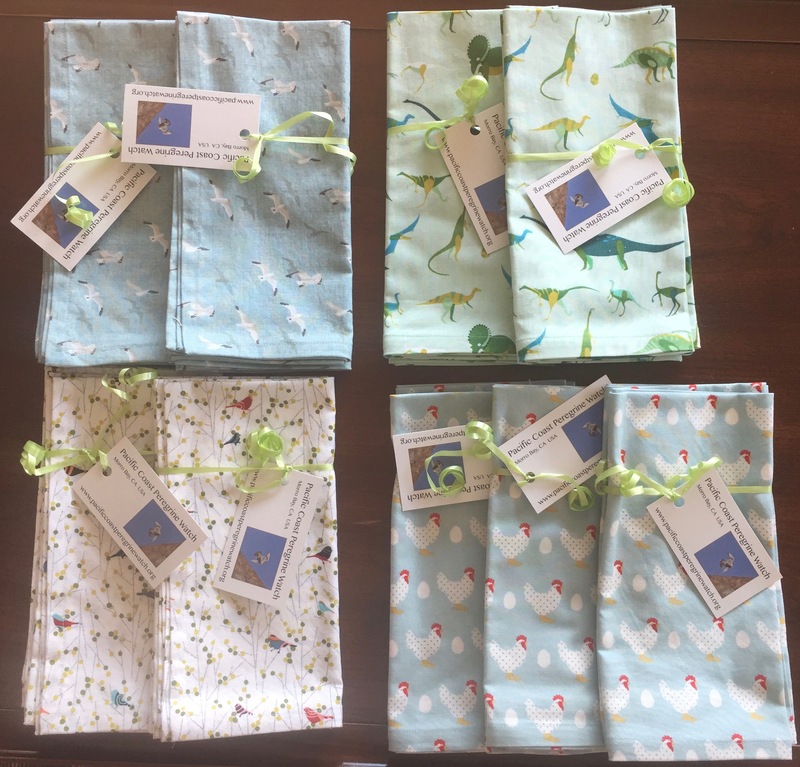 I have two sets of gull napkins, two sets of dinosaur napkins, two sets of perching birds on white napkins and three sets of chicken napkins. Let me know what you’d like. My commitment is to have students be curious, love the sciences and be good scientists to expand our knowledge and care of our planet. There most certainly is a lot to take care of !